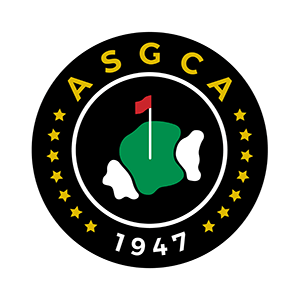 The American Society of Golf Course Architects (ASGCA) was founded in 1946 and has evolved into a collective of the most acclaimed and experienced professionals in the industry. When those searching for golf course architects select an ASGCA member for their project, they know they are choosing among the very best the industry has to offer. A professionally designed course, whether a new or renovated one, reflects the training and experience of its architect. ASGCA members work hand-in-hand with the project team to develop the best possible routings within the Master Plan that are sensitive to environmental impacts, maintenance budgets and utilize smart design and construction methods for the betterment of the course. ASGCA members know how to avoid crucial mistakes that can lead to improperly built courses requiring excess maintenance, that have poor drainage which reduces the ability to operate the course effectively or that have dangerous layouts which could cause serious accidents among players. When choosing a golf course architect, the developer should keep in mind the typical requirements that an architect will need to meet for his project. Is it an advantage if the architect lives nearby? Are there areas of expertise that may become significant factors in the project that the architect does or does not have? What is the past experience of the architect in similar projects? These and other questions make doing some research into the history of the designer’s work a worthwhile pursuit. Without a doubt, the best way to find a great architect for your job is to talk to other developers and find out what type of experience they had with that architect. The game of golf has a myriad of subtleties developed through its long history. It is important that an architect can recognize this and incorporate it into their design decisions. Designing a golf course is more than a simple exercise in landscape architecture. Nor should it be looked upon as simply a large-scale construction project. A golf course architect, much like a musical conductor, blends a variety of disciplines into a worthwhile and unique project. As such, it is often said that golf course design is just as much an art form as it is a skilled profession. ASGCA members understand that balance. Because golf course architecture is such a specialized field, new projects often require solutions for specific problems of earth moving, drainage, pond or lake design, irrigation, water supply, conservation of trees, wetlands and wildlife habitat preservation and other ecological considerations. ASGCA members not only provide these services but they can also work in concert with others to provide for a harmonious design and construction process. They are among the elite in the field of golf course architecture. To find a golf course architect that’s right for the project, be sure to visit the Find a Member section of the ASGCA website, then talk to the architects that you feel are good candidates and finally, speak to their clients.